The following application procedures are for general information purposes and specific application rates and methods may change depending on soil type and end use conditions. Please consult your Global Stabilization representative for specific installation information based on your soil conditions. All applications are applied at the 4:1 dilution rate. Do not apply EarthBind on a wet surface. Do not apply if rain is forecast for 48 hours after application. Apply EarthBind-100 at the rate of 0.15 gallon/ sq. yard (0.75 liters/M2) in three equal 0.05 gallon/ sq. yd. (250 ml/M2) applications. Application #1 and #2 can be one right after the other. The last should be at the end of the day or the following day. The surface of the road should be graded, compacted and rolled with either a vibratory or pneumatic roller. The use of water for compaction is a common and acceptable practice. DO NOT apply EarthBind on a road surface that is NOT dry to 1⁄2 inch (13 mm) depth. The first application of EarthBind is the most critical. It must penetrate into the road surface, all other applications are building a wear surface. DO NOT apply EarthBind-100 if rain is forecast for 48 hours after application. The use of a roller after applications of EarthBind-100 are dry is recommended. Traffic may drive on the surface as soon as it is dry, generally 30 to 60 minutes at 70° F (21° C) temperatures. We encourage traffic on the road to help compact the EarthBind into the surface. Shallow and Deep Stabilization; 2” to 8” (25 mm to 100 mm) depth. Apply EarthBind-Stabilizer at the rate of 0.10 gallon per sq. yard (500 ml/M2) per inch (13 mm) of soil depth. Road moisture must be at 12% after application. 9% moisture plus the water that is in the 4:1 dilution rate generally brings up the finish moistureto the recommended 12% moisture. As soon as the road is stabilized, begin the grading and compacting to finish. DO NOT allow the surface to dry before beginning the grading and compacting process. We recommend a 0.10 gallon per sq. yard (500 ml/M2) topical finish when stabilization is complete to provide a wear surface for the stabilization. Apply EarthBind-Stabilizer at the rate of 1 gallon for 20 sq. yards (1 liter/4M2) at the 4:1 dilution rate. DO NOT apply neat (without diluting with water first). EarthBind-Stabilizer provides a moisture barrier to significantly reduce moisture from integrating the asphalt pavement from the aggregate thereby reducing failure. EarthBind-Stabilizer and RAP are an excellent combination by emulsifying the materials together. Use 0.05 gallon/ sq. yard (250 ml/M2) per inch (13 mm) of depth. EarthBind-Stabilizer can be injected into the reclaiming machine for in place recycling, “Cold in Place Recycling”, (CIP). Grind the old asphalt road in place with EarthBind-Stabilizer, blade smooth and roll for a smooth finish. EarthBind-Stabilizer does not require heat. Finish with a 0.05 gallon/ sq. yard topical application for a wear surface if desired. Dilution is variable with EarthBind-100. 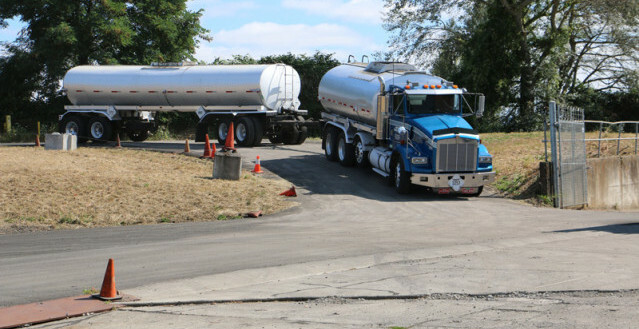 Use onsite water trucks with application spray bar. Slight modification to existing spray system is required. Base course can be applied during mining operations. Rate will be complete after several applications obtaining 0.10-0.15 gallon per square yard. Maintenance applications must be applied as a proactive solution for long term road protection.